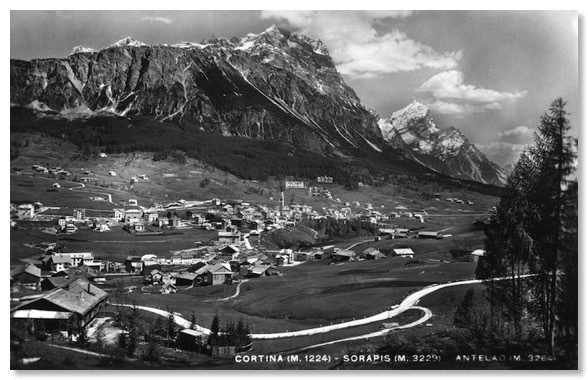 Zardini’s final photograph on this journey along the Great Dolomite Road is of the approach to Cortina, on the final kilometre or so of the Great Dolomite Road. 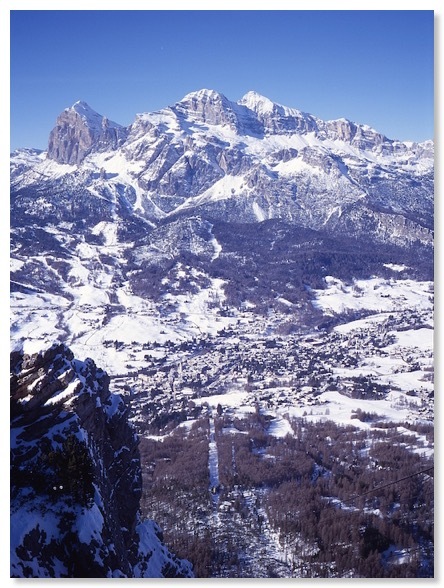 The view looks to the peaks of the Sorapis (3,205 metres) and Antelao (3,264 metres). 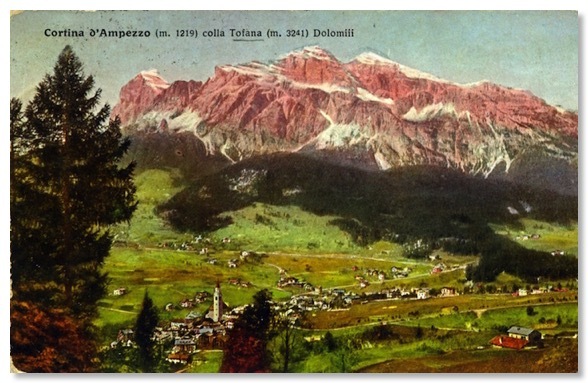 The latter is probably the least-known major peak in the Dolomites, despite being the area’s second-highest separate summit. 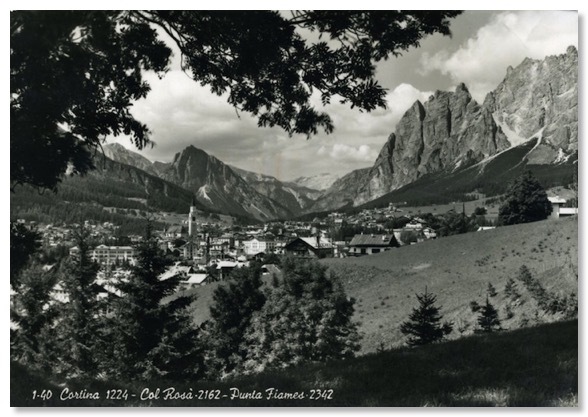 Nowadays, it is not possible to take this photograph from the Great Dolomite Road. 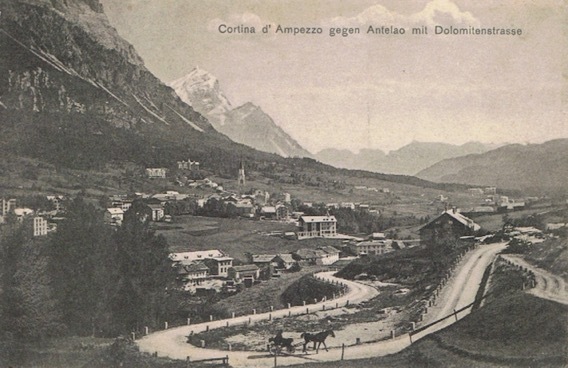 The Road is flanked almost every metre of the way by hotels and other buildings. 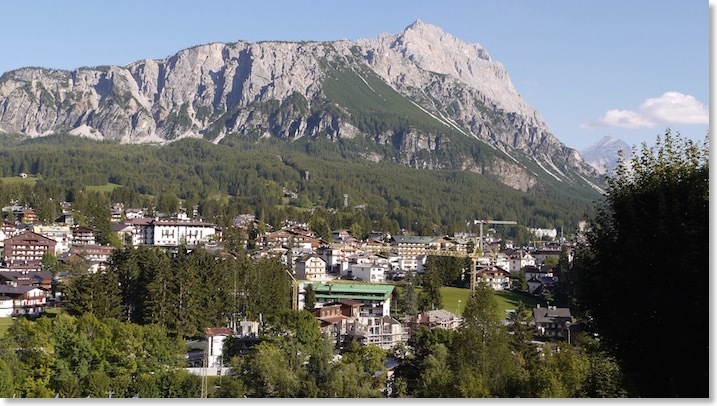 However, by complete chance, I found that the view from the balcony of the room in the Hotel Columbia, in which I was staying at the time, gave a very close approximation indeed to what Zardini saw. 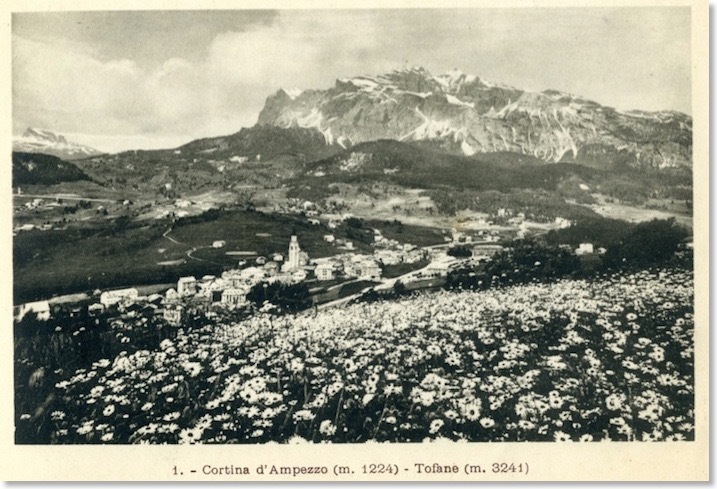 While it would presumably have been easy simply to use the comparable view from the original (and, I believe, earlier) booklet, it is immediately apparent that this is a different photo. 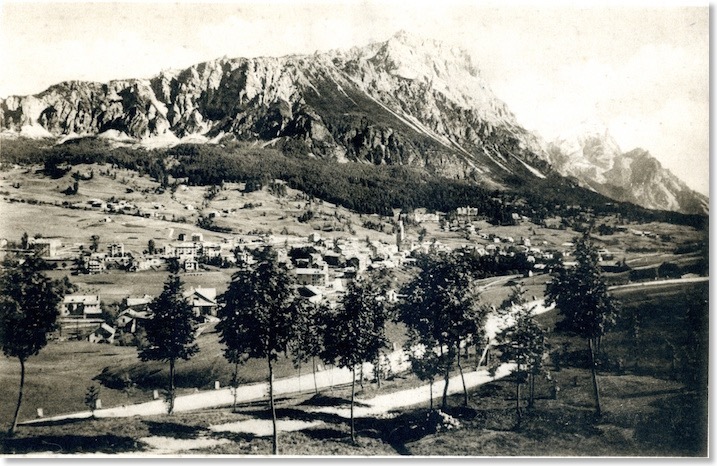 The trees beside the road as it rises towards the viewer out of the town are not there. 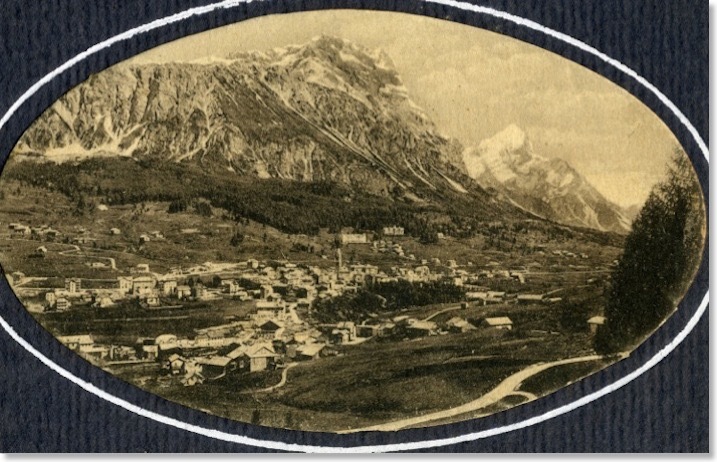 Does this photo pre-date them or were they cut down during the First World War? Impossible to tell. 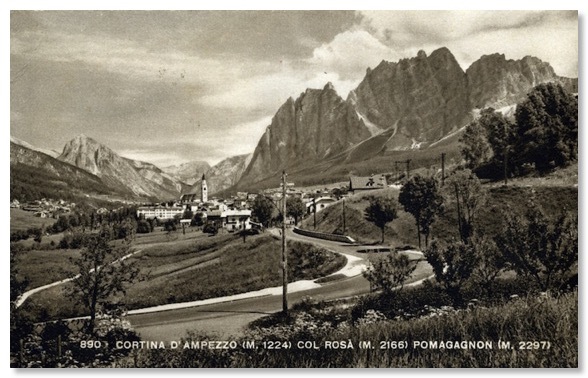 The difficulty of dating these shots is amplified by this picture, from a crisp, perfect condition black and white Zardini postcard which was sold as a “1960s” view of Cortina. 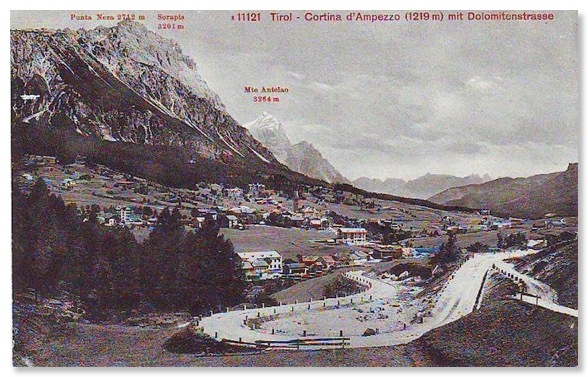 Had that date been true, the large stadium built for the 1956 Winter Olympics would have been visible in such a wide view of the town. 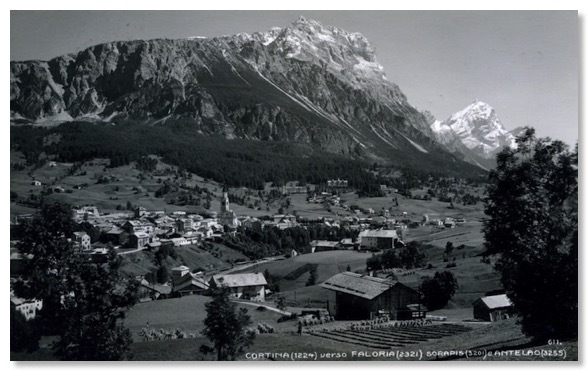 However, close inspection of the buildings shows that the photo is identical in every respect to the cover of the Zardini “Cortina - Bolzano” booklet, save only for the cloud formation over Antelao, the amount of snow on the mountain, and what may be a pile of wood on the Road, opposite the junction bottom right of shot. 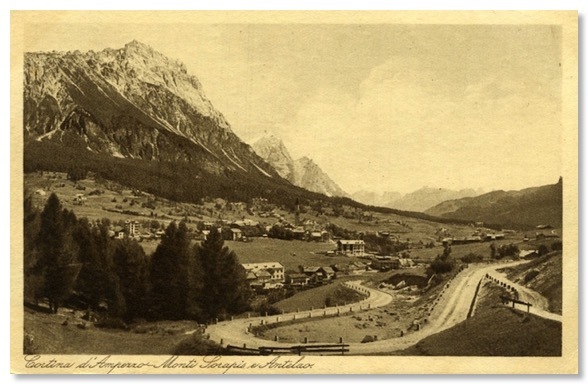 The postcard is from precisely the same viewpoint, and maybe only weeks earlier or later. 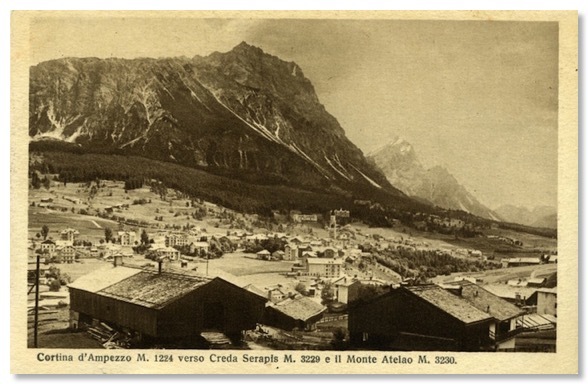 More modern printing techniques show how detailed Zardini’s original negatives or glass plates actually were.